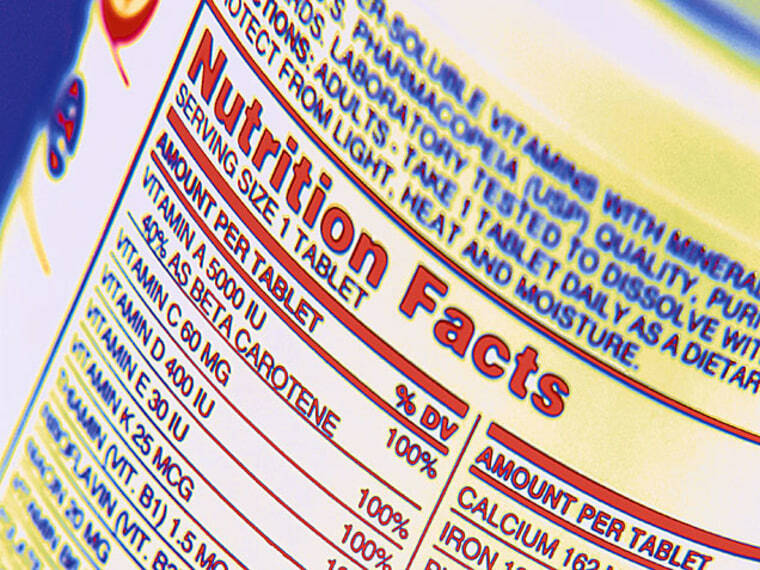 Thanks to fortified foods and year-round fresh produce selections, most Americans readily get their daily recommended dietary allowance (RDA) of key vitamins. Still, some of us unknowingly fall short. “Vitamin and mineral deficiencies occur slowly over time so the signs aren’t always obvious,” says registered dietitian Kristine Clark, Ph.D., director of sports nutrition at Penn State University in University Park. Doctors don’t always routinely screen patients for a vitamin deficiency, so it’s important that you eat a healthy balanced diet. Being familiar with the signs of the three most common vitamin deficits also helps. Vitamin D is often called the sunshine vitamin because your body makes it when exposed to sunlight. This vitamin is essential for strong bones, teeth and muscle. It also may reduce your risk of colon cancer, type 2 diabetes and autoimmune diseases. Rarely, a vitamin D deficit leads to bone pain and muscle weakness. More often, there are no signs of a problem. Who’s at risk: About 8 percent of Americans don’t get enough daily D. People with dark skin and those who live in northern states where sunshine is scarce in the winter are most at risk. Get more D: One glass of vitamin D-fortified milk provides 100 IUs. Other food sources include fatty fish including salmon, tuna and sardines, and fortified orange juices, cereals and margarines. Vitamin D supplements, or calcium supplements and multivitamins with added vitamin D, are also good options. Your body uses iron to make hemoglobin, the protein in red blood cells that carry oxygen to tissues. You can become anemic when your iron stores become so low that your blood can’t carry enough oxygen to the rest of your body. “You may feel fatigued even after sleeping well,” says Clark. RDA: Women age 19 to 50 need 18 milligrams (mg) of iron per day. Pregnant women need 27 mg and breastfeeding women need 9 mg. Men age 18 and older should get 8 mg.
Who’s at risk: Menstruation and pregnancy can deplete iron stores. That’s why 10 percent of women of childbearing age are low in iron. Get more iron: Look for iron-fortified cereals, oatmeal and bread. Meats including beef, turkey and fish are high in iron (liver and oysters contain the highest amounts), as are lentils and beans like kidney, soy and lima. You also can get the nutrient in an iron supplement or multivitamin. This B vitamin helps your body make antibodies which fight off illness. It also fends off anemia by making hemoglobin, as well as plays a role in preventing diabetes by keeping blood sugar levels in check. Signs of a B6 vitamin deficiency shortage include anemia, itchy rashes, scaly lips, cracks at the corners of your mouth and a swollen tongue. RDA: Adults up to age 50 should get 1.3 mg of B6 every day. Women age 51 and older need 1.5 mg while men in this age group should get 1.7 mg. Pregnant or nursing women need 2.0 mg.
Who’s at risk: Close to 11 percent of Americans don’t get enough daily B6. People with kidney disease or autoimmune disorders like rheumatoid arthritis and celiac disease are most likely to fall short. Get more B6: Some fortified breads and cereals contain B6 (check the nutrition label). You also can find it in avocados, bananas, legumes, nuts, whole grains, meats, and of course, vitamin supplements.